Research recently published in the journal Nature explains how researchers successfully converted skin cells from patients with mitochondrial disease into disease-free stem cells. Researchers are hopeful that they are now one step closer to finding a cure for people born with this inherited disorder. Scientists from Oregon Health & Science University in Portland and the Salk Institute for Biological Studies in La Jolla tested two different cell reprogramming methods to produce mutation-free lines of cells from mitochondrial patients. In both methods, researchers used skin samples from patients diagnosed with mitochondrial encephalomyopathy or Leigh syndrome—both are severe mitochondrial diseases that affect the muscles and brain. Method one saw the teams use a standard way of converting the skin cells into pluripotent stem cells (cells that have the potential to be converted into any type of cell in the body). This method allowed scientists to pick out the healthy mitochondria-free stem cells. Researchers discovered that this approach wouldn’t work for every patient, since some patients don’t have cells with enough mitochondria that are free of mutations. So researchers created a second approach. The second approach was similar to mitochondrial replacements that are used in three-person IVF. It’s when the nucleus from a patient’s skin cell is transferred into a donor egg cell with healthy mitochondria. The new healthy cell egg is then used to make pluripotent stem cells. In this case, the healthy mitochondria took over and genetically similar cells from the patient were generated. The team concluded that the treatment could lead to a safer form of treatment than three-person mitochondrial replacement therapy. 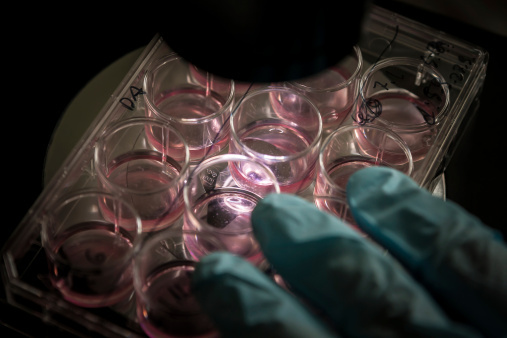 Paddock, C., “Cure for mitochondrial disease steps closer with stem cell breakthrough,” Medical News Today web site, July 16, 2015; http://www.medicalnewstoday.com/articles/296836.php.